The KRAVolution Krav Maga Institute in the belgian television about the self-defense of women. The Krav Maga Institute Cologne, Germany in the belgian television at the ‘‘Het Journaal‘‘ about the self-defense of women after the incidents in the night of New Year’s Eve in Cologne, Germany. Until when is self-defense legal? This documentary is about the fact that private security services and security staff do not have police authority. “Employees of private security services have no right to exercise violence, only the police,” explains Swen Walentowski from the German lawyer’s office. As with all citizens, there is only one exception – in the case of self-defense. Private security companies are allowed to exercise the right of ownership for companies and private individuals. “The employees are allowed to direct guests from a discotheque”, explains Swen Walentowski. 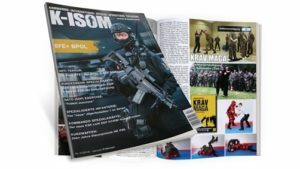 KRAVolution Krav Maga Instructor Carsten Draheim was interviewed on the subject and also filmed in the Krav Maga Institute in Cologne, Germany for the self-defense training for security employees. This represents a clear view of who is attacked, must also resist comparatively but most consistently! A short documentary on Russian TV at REN TV about the self-defense of women. 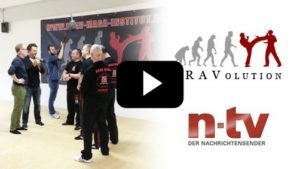 A short documentary on Russian TV at REN TV about the Krav Maga Institute Cologne, Germany. The defenses against shirt grabs and against multiple attackers were thematic in this training. A contribution on Russian television on the self-defense of women because of the incidents in the night of New Year’s Eve in Cologne, Germany. A contribution on Russian television at RTR to Russia 1 on the self-defense of women because of the incidents in the night of New Year’s Eve in Cologne, Germany.